Since man first discovered how to control fire biomass has been a primary source of energy and heat. Wood Pellet boilers are by far the simplest boiler type and fuel to live with, many installations being fully automated apart from the need to order fuel – and boilers can even prompt you by text to do this! 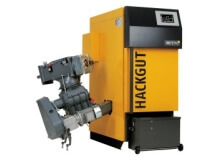 Wood chip boilers are suitable, though not exclusively, for larger heating requirements needed by farms, commercial properties and district heating systems. 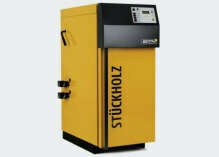 The most “hands-on” boiler and often regarded a life style choice due to the daily management requirements which will include manually filling the fuel chamber and occassionaly emptying the ash bin. 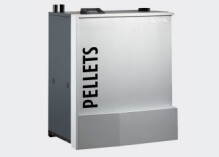 Biomass boilers deliver high temperature heat and are versatile in their capabilities of heating a wide range of properties from single homes, multi-dwelling developments, residential care homes, commercial properties such as farms, offices, warehouse, and shops as well as heat required for industrial processes. For properties not connected to the national gas grid network, particularly older properties, biomass can be an ideal choice. Fervo Renewable Energy advise upon and installbiomass heating solutions covering a range of boiler and fuel types. The term “biomass” is widely used to cover a range of fuel types that originated from living plant matter that has absorbed carbon dioxide from the air using the sun’s energy. Biomass fuels differ from fossil fuels in that creation of the stored energy occurred many millions of years and ago rather than over the course of the last few years or decades. Both the burning of fossil fuels and biomass release carbon dioxide into the atmosphere. However since trees absorb the same amount of carbon while growing as they release when burnt, the net effect is carbon neutral. Biomass fuels from a managed and replenished source have no ecological impact. The choice as to which fuel and boiler type to opt for is dependant on a number of factors relevant to intended use, building type and convenience. To find out more contact Fervo Renewable Energy for an informal chat or make an enquiry.